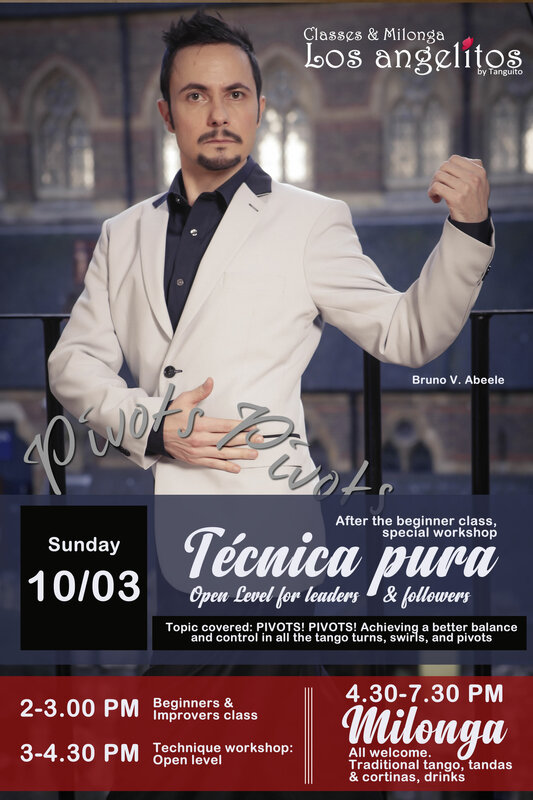 Sunday 10.03 heads will turn: Técnica pura - TECHNIQUE INTENSIVE (ALL LEVELS) plus non stop Milonga to master all these mighty tango pivots! 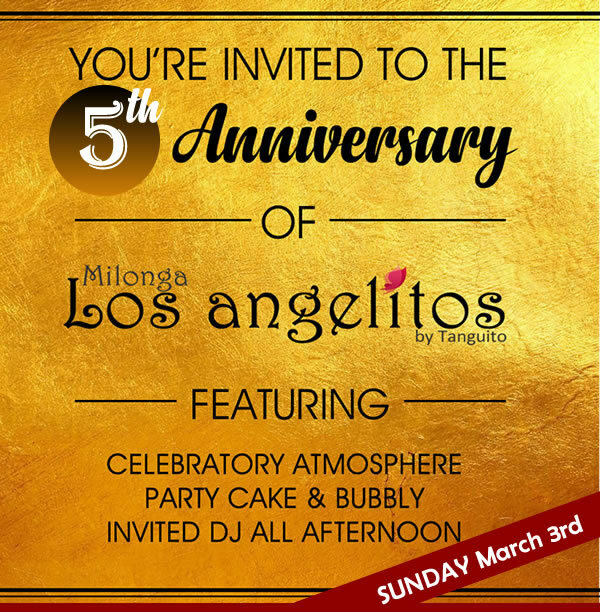 03.03.2019: Join Los Angelitos 5th anniversary and celebrate all afternoon! Flight BA0245 dropped me in Buenos Aires on January 19. Argentinians like to do things big. Big steaks. Strong Malbec. Sickeningly sweet dulce de leche (sorry amigos, we love you to bits but we think our Nutella tastes better than your dulce de leche). Melancholy tangos that grab you by the heart and won’t let you go. Sizzling hot summers. Sunday 13.01!!! 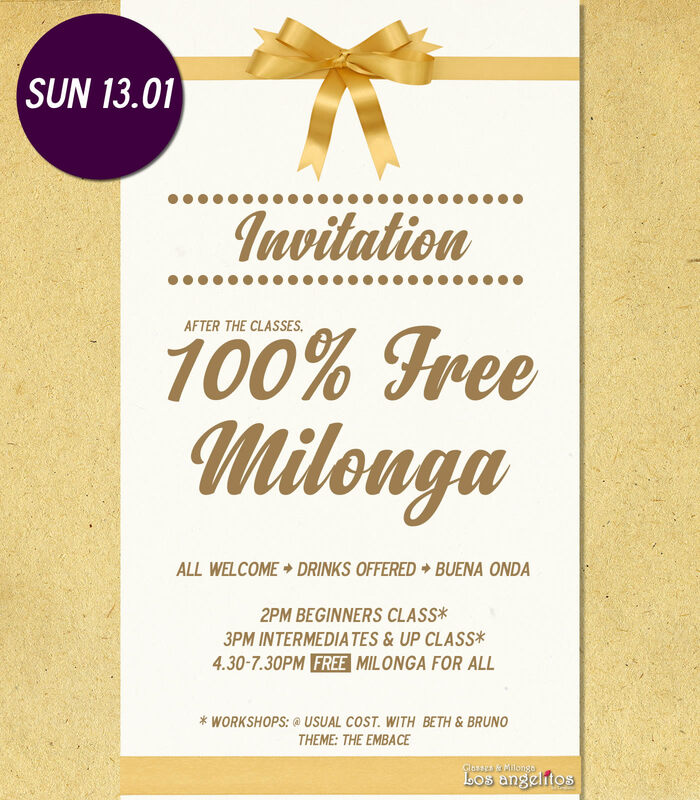 To celebrate the new year, Los Angelitos milonga is 100% FREE FOR ALL! Just bring your buenas ondas and your tango friends! 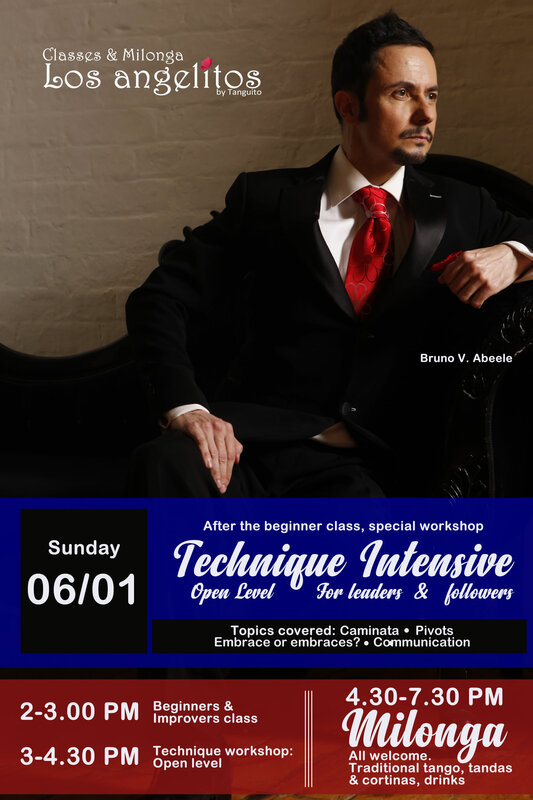 Sunday 06.01: TECHNIQUE INTENSIVE (ALL LEVELS) to start 2019 with a bang! Back by popular demand: an in depth, intensive technique workshop for leaders and followers, building on the workshop given in December (you can attend even if you haven't been to the Dec. workshop). 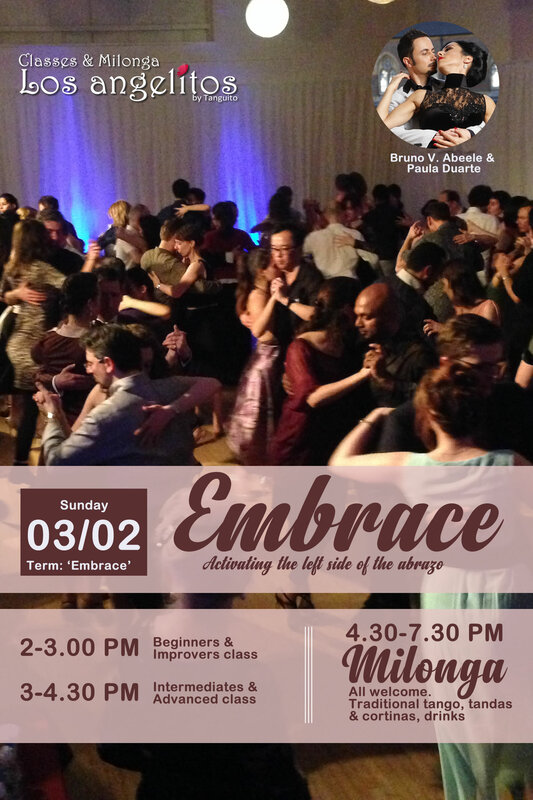 This Sunday will be our LAST SUNDAY MILONGA OF 2018! And to celebrate in style we're organising an International Christmas: bake or bring something typical from where you're from, cake, dish or sweet! 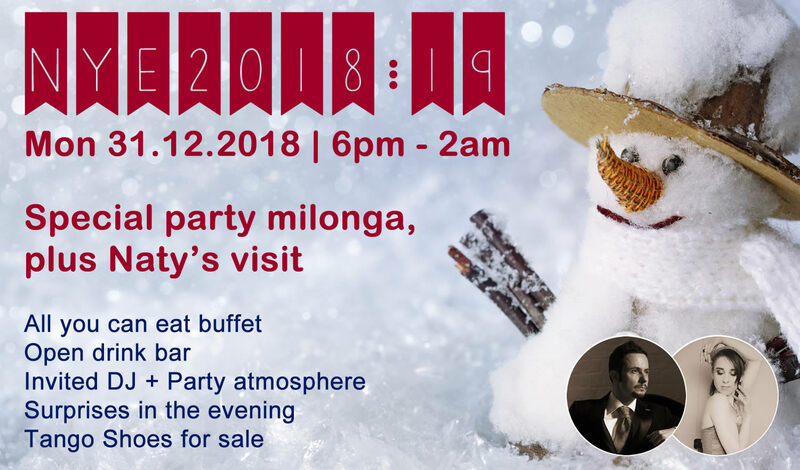 SPECIAL New Year's Eve Party MILONGA on Monday 31.12.2018! Come say farewell to the last month, week, day, and hours of 2018, and welcome 2019 with a huge smile on your face! 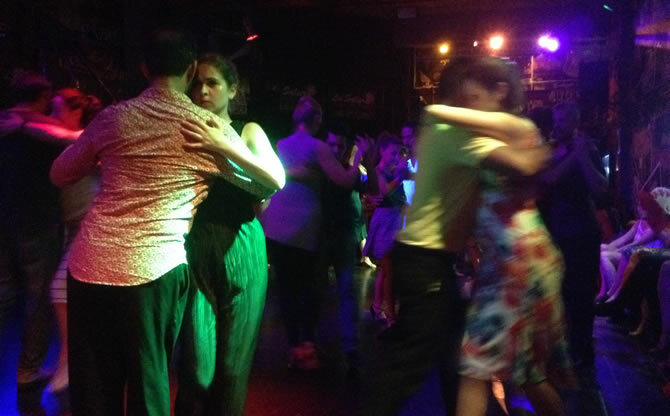 For the occasion we are organising a very special milonga at Los Angelitos with great tango music, a full buffet including unlimited food and drinks, and lots of surprises! World Champion Lorena Lorena González Cattáneo with Gastón Camejo at Tanguito in Oct. 2018!